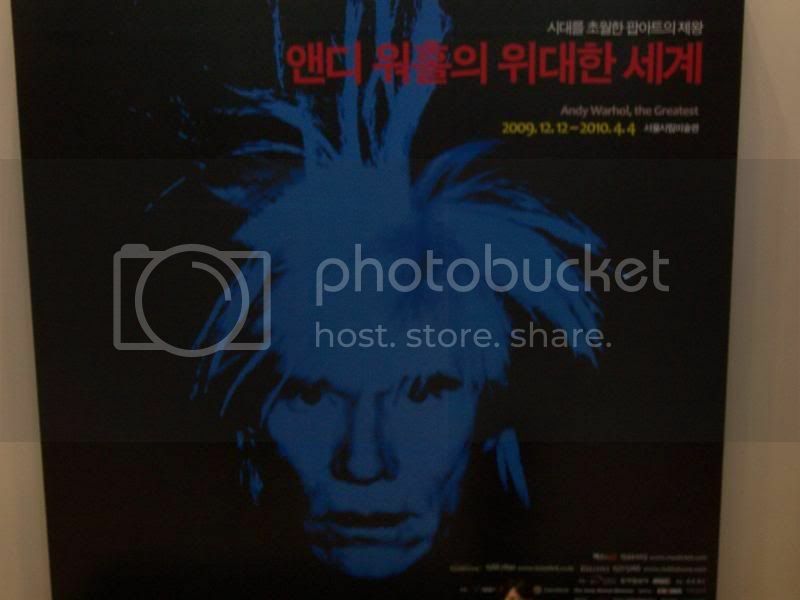 The Seoul Museum of Art has an Andy Warhol exhibit. On Saturday, my friends and I decided to play culture vultures for the day and check it out. Warhol was a print maker, filmmaker, producer and author. He created beauty out of everyday iconic American products, claiming he liked boring things. Some say that he even took common products and turned them into the iconic products we have in our minds today. Andy Warhol coined the phrase “fifteen minutes of fame” because he thought even the smallest or most common things would all find their way into the spotlight at one point or another. We waited in line for twenty minutes just to get a ticket, then waited another 20 minutes to enter the special exhibit area. It was worth braving the cold to get a glimpse of this extraordinary collection. To see the artwork, everyone had to stand in crowded lines. Circling the rooms, we stayed three feet from the walls, looking at images of soup cans, Mick Jagger, Marilyn Monroe, Sylvester Stallone and other famous faces. 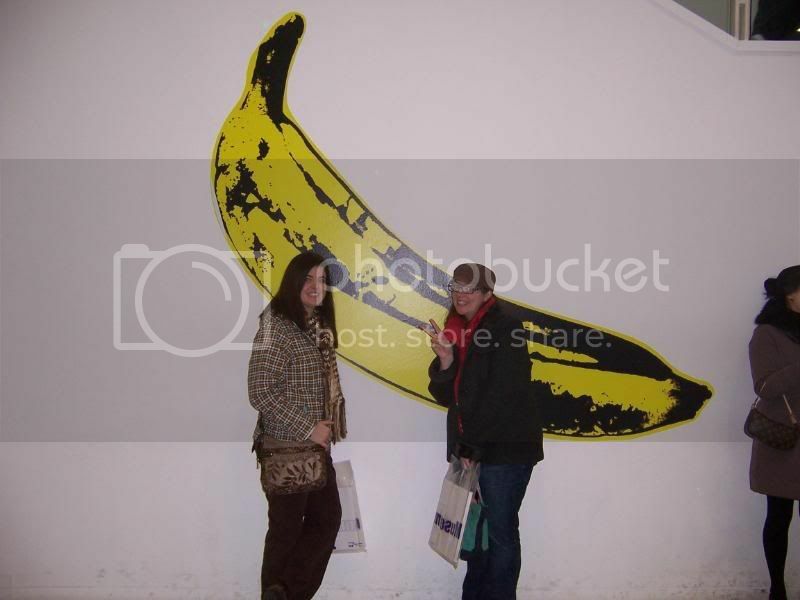 My friend Asten and I pose with The Banana. Directions: City Hall Station. Take exit 1 from Dark Blue Line 1. Directly out of the subway you’ll turn left and walk along a palace wall until you see the sign for Seoul Museum of Art. The Seodaemun Prison History Hall was very insightful. The Korean people still hold such a hatred toward the Japanese, and I didn’t fully understand. I did not take pictures of the more graphic, violent images and scenes that were on display. Some of the holding cells had mannequin-type people being tortured. There was even a Corpse Removal exit from the facility to secretly move the executed prisoners outside of the prison. This was to conceal their brutality. Everything was extremely sad and depressing. The History Hall is an educational site for Korean history where people can remember and pay tribute to those who fought against the Japanese invasion. The prison now stands as a sign of independence. The History Hall is located at the Dongnimmun station, exit 5. Only a small fee of 1,500 Won to enter.